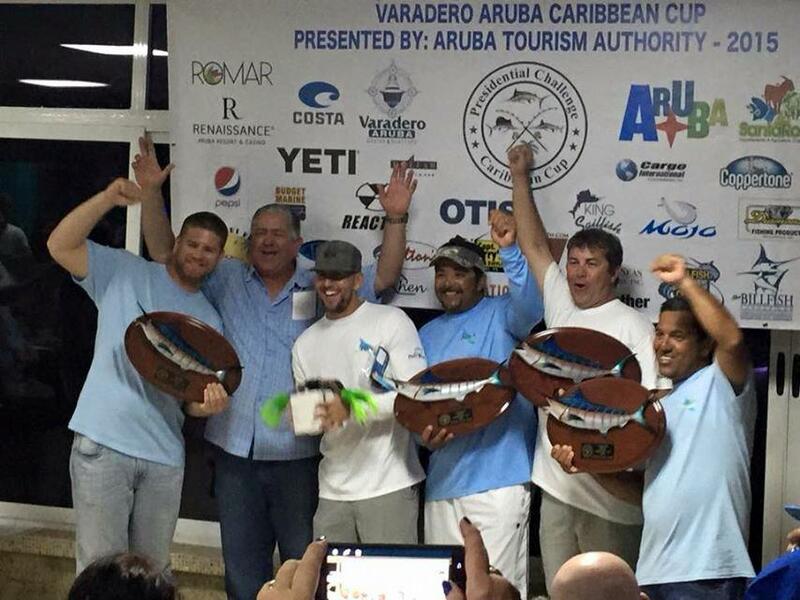 The NAIRA came into this year’s Varadero Aruba Caribbean Cup ready to cement their reputation as one of the top sportfishing teams in the world and by 10 a.m. they added another chapter to their incredible story. Day two was started early with the first fish, a sailfish for angler Yilson Iriarte. He then went on to release a white marlin at 9:30 and a blue marlin at 9:50 for a Grand Slam and 100 bonus points. They ended their day with 2,100 total points and the tournament lead going into the third and final day. 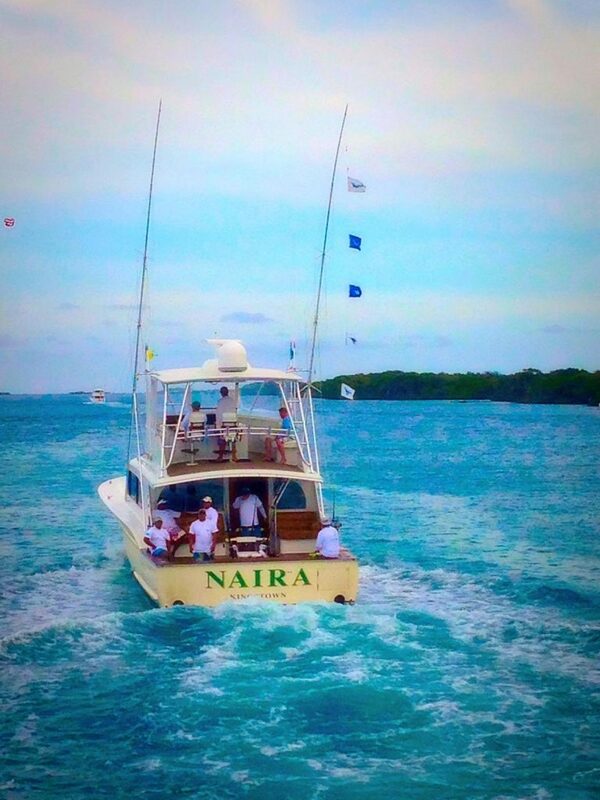 Owner/Captain Bincho Mansur leads the NAIRA team from the helm of the Paul Mann Custom sportfisherman. In second place was the Alina, captained by Eric Mansur, with 1,500 points. The ALINA, also a Paul Mann Custom released two blue marlin and two white marlin yesterday alone—among the team’s anglers are Eric’s sons Eric Jr. and Christian Mansur. In third was the Ola team with 1,100 points. They caught their white and sailfish early but hooked up with a blue marlin in the last few minutes of the tournament for the day’s second Grand Slam. Nothing like last minute heroics to rule the Caribbean Cup! In the angler standings, Yilson Iriarte from the NAIRA leads with 800 points followed by Gabriel Requema on the Tara with 600 points. Rafael Rojas on the ALINA is third, also with 600 points.